Count the Cranes Day! Final Count for 2016! We all love the Sandhill Cranes! They are such fascinating creatures! Long dangling legs, beautiful swan like necks and honker noises that can jolt you as they fly over! Watching them return each year and make their new families is a pure joy! Wherever you are today September 8th 2016 if you see Sandhill cranes count how many, if they are adults, colts or branded cranes and write down where they are and the time. 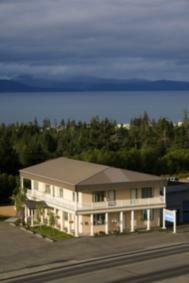 Share your information with Center for Alaskan Coastal Studies and Nina Faust. Please Send all observations to reports@cranewatch.org or by call 907-235-6262. Good morning Debra. These are wonderful pictures. Just amazing. Thank you. Thank you Sheila Anderson these birds are something to see they are huge!! Have a great day! Hi Debra Leisek , That's one way to take inventory! Get everyone involved. Great idea! Just think of the time and money they saved. Yes Larry Johnston get the whole town involved! it is a very efficient way to count the cranes....they are so much fun to watch! thank you!! So you were serious about counting the Cranes? I thought it was a clever headline! Cool, to involve everyone! Hello Evelyn Johnston Yes we love our cranes here and do what we can to keep an eye on them... they are huge so they are easy to count!! thank you! Counting the Cranes, something that I do just about every day, most days it is just a few, but once in a while it gets to be many more. BTW, great pics Debra, as always you have some great photography and plenty of good things to take pictures of. Hello Bob Crane The Cranes are really something special! Lot of fun Thank You so verymuch!